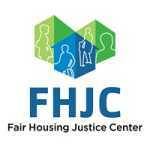 FHJC's mission is to eliminate housing discrimination; promote open & inclusive communities; and strengthen enforcement of fair housing laws in NYC region. Ulster Savings Bank (“Ulster Savings”), the Fair Housing Justice Center, Inc. (“FHJC”) and three individual plaintiffs all submitted a proposed Settlement Agreement and Order requesting that the federal court in White Plains approve the parties’ settlement of a fair housing and lending case initiated by FHJC. If approved, the settlement will afford the parties the opportunity to work together to improve lending opportunities in the Hudson Valley and Long Island areas.